Let's say it's your friend's Bat Mitzvah. You've both been looking forward to it. But then you realize, how do I get ready? What should I wear? 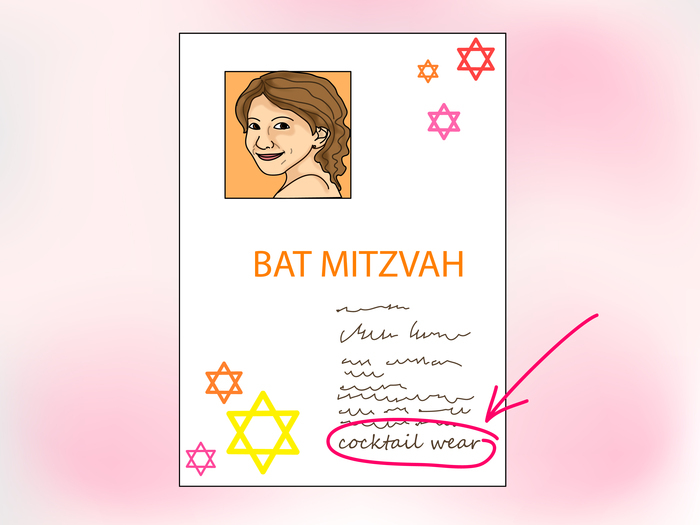 Determine what type of Bat Mitzvah you are going to. It will usually say at the bottom of the invitation. If it says party wear, it means a dress. If it says cocktail wear, it means pretty fancy. 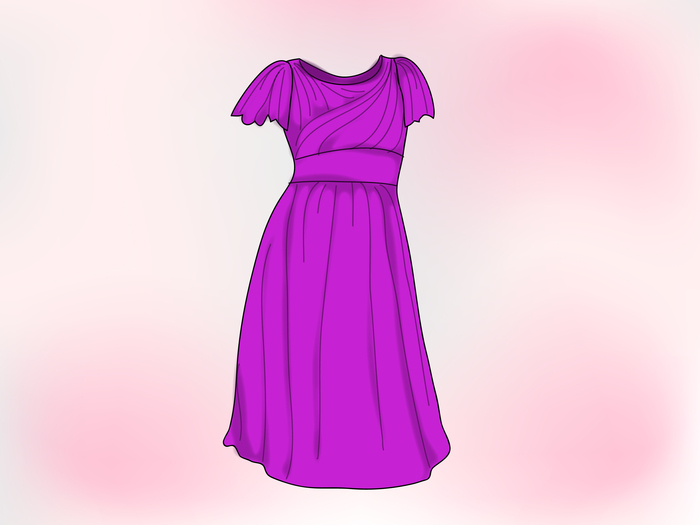 Find a dress. This dress should be a fancy dress that can be worn to both the service and the party if you want to. When picking a color, remember about skin tones and don't pick one that will make you look green. If you are wearing a dress to a service, it needs to cover your knees and your shoulders. You could wear a jacket. Pick shoes. Shoes are such an important essential to your outfit even though in some cases you might take them off. When picking shoes, pick a very natural color that will look good with any dress so you can wear them many times. 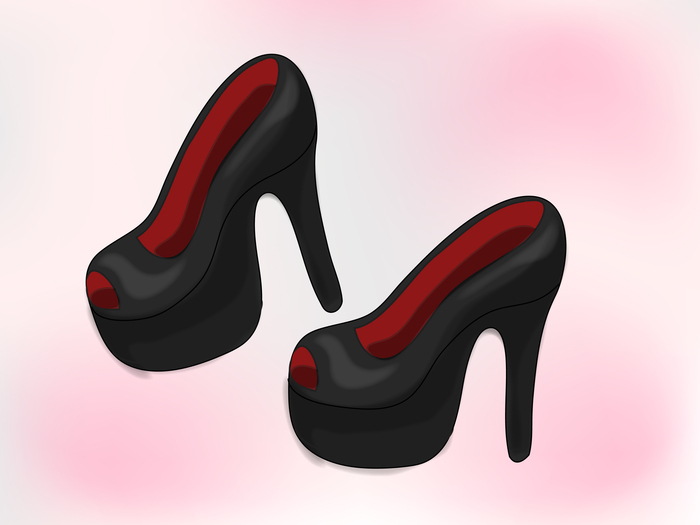 You don't want to make your heel to high that is uncomfortable. 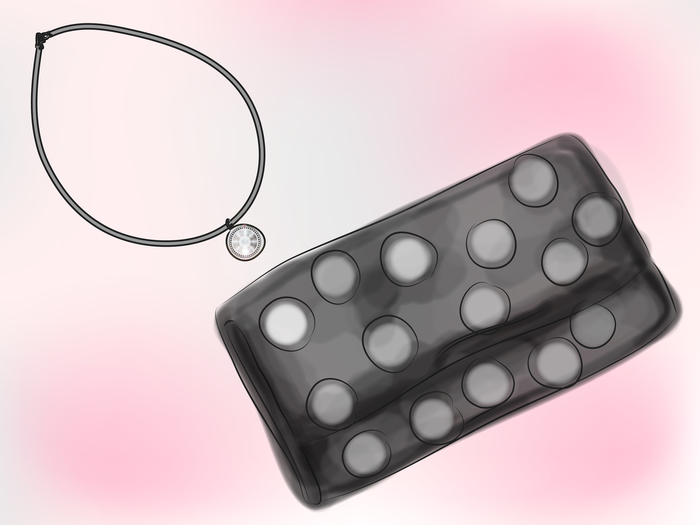 Pick jewelry and a bag. The jewelry and bag should match and not have gold detailing on one and silver on another. Do your makeup. 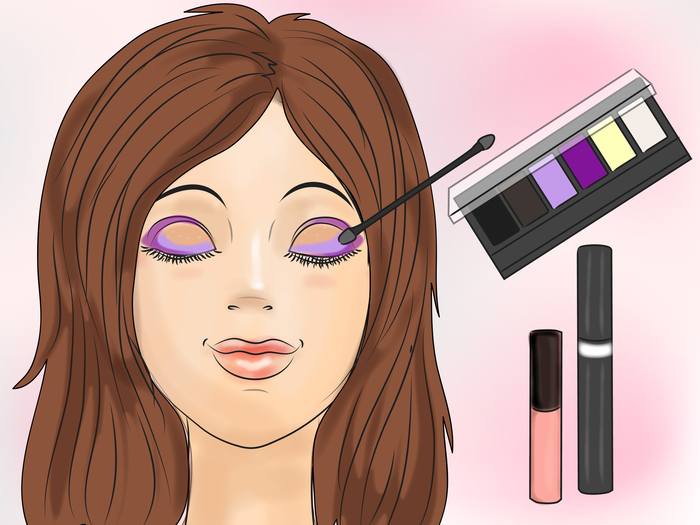 When doing makeup, you want to consider your dress color. If you have a light dress color, you will want lighter makeup. If you have a darker dress, darker makeup would be good.